Wondering if you could benefit from a new high efficiency heating system? 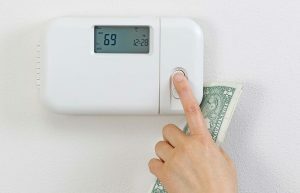 There are certainly a lot of perks to high efficiency furnaces and other heating equipment. If your current heating system is old and starting to show signs of its age, such as higher fuel bills and insufficient heating, replacing it now is a wise choice. Planning for furnace installation in Greensboro, NC, before winter comes offers additional advantages. Save money on heating fuel. Whether you have natural gas, propane, or heating oil, a high efficiency furnace will require less fuel to heat your home than your old furnace. Your monthly gas bill will be lower, and you will require fewer refills of your propane or heating oil tank. Enjoy more consistent warmth. A high efficiency furnace heats your home more evenly and offers a more lasting warmth than your old furnace. Your home will maintain its goal temperature for longer and throughout each room. Quieter operation. New furnaces, especially high efficiency ones, are designed to run much more quietly than old furnaces. Been noticing a lot of noise coming from your heating system this season? That’s another sign of an aging furnace. Gain some significant peace and quiet with new furnace installation in Greensboro, NC. If your old furnace fails on a cold winter night, you’ll find yourself in an emergency situation. Not having heat on a freezing night can become dangerous quickly. You may be forced to call your HVAC company after close of business. After-hours and emergency fees apply in these situations, meaning you’ll pay extra for the same services. HVAC companies get busy during the winter and may not be available to replace your furnace when it breaks down. If your heat breaks down in winter, its highly likely that your HVAC company will be busy repairing and replacing systems for other customers. You could be waiting in the cold for days before help arrives, or even be forced to stay elsewhere until your system can be replaced. Now is the time to take advantage of the current specials being offered by Berico. If you’ve been thinking about furnace replacement, it’s likely your air conditioning was installed at the same time in one complete HVAC system. If your furnace needs to be replaced, your air conditioning surely does too as AC systems typically don’t last as long as furnaces. Berico is offering a free furnace installation with any air conditioning installation. Been thinking about switching to heating oil? You can get a $500 rebate for installing a new oil furnace or tank. So don’t wait any longer. Start gaining all the perks that come with new high efficiency furnace installation in Greensboro, NC. Call Berico (336)273-8663.